Solution: x737project overrides X-Plane's fuel logic to simulate the Boeing 737NG fuel systems as realistic as possible. 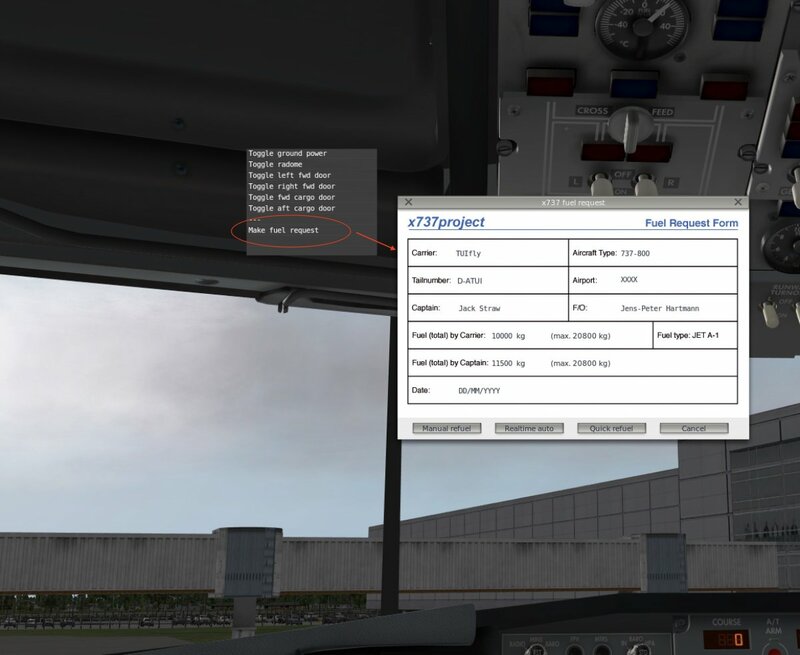 To get fuel in your aircraft you must use the x737 menu which you can pop up by clicking left or right of the overhead panel where old 737 aircraft had eyebrow windows (see screenshot). Bringing up the fuel request allows to select fine options like refueling in realtime which is the most realistic way to start a flight. Hope that helps! If problem continues please contact the x737project team.